The biggest fight on network television in decades went down Saturday night at the Barclay’s Center in Brooklyn, New York. 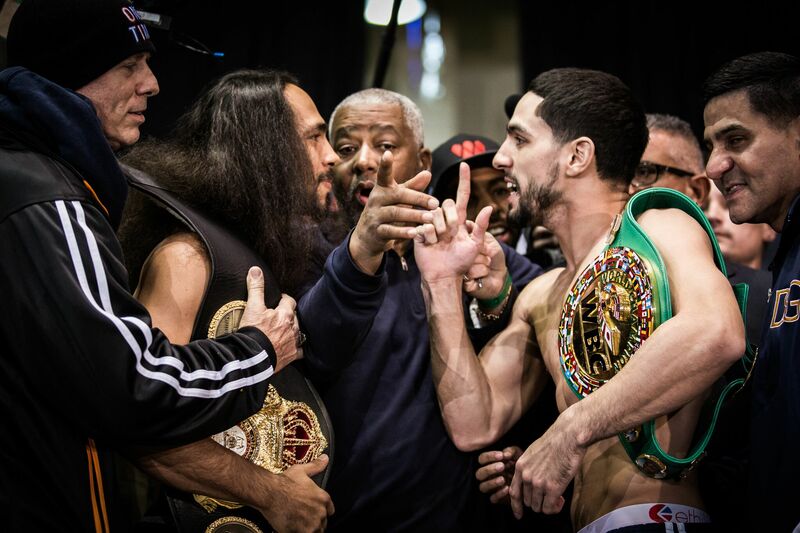 WBA welterweight champ Danny Garcia took on his WBC welterweight peer Keith Thurman in a unification battle of undefeated titlists. The opening bout featured Jorge Cota 23-1 against rising star Erickson Lubin 17-0. The first round started off tentative with neither man showing a willingness to let loose. The second showed each man trading a bit, but the battle remained close. Lubin landed with purpose in the third and in the early fourth Cota was on his bicycle. It did him no good. A single left hook sent Cota down and out at around the halfway point of the round. After a small eternity – which isn’t good for a network broadcast – it was time for the main event. The crowd was clearly behind Philadelphia’s Garcia, 33-0, but Clearwater, Flordia’s Thurman, 27-0-1, appeared cool as ice. The first round was pretty explosive with both men landing exceedingly hard. Thurman was aggressive from the opening bell, but Garcia held his own. Thurman was aggressive in the second, as well, but Garcia was able to land hard and was also able to maintain his cool. Garcia subtly became more aggressive in the third and Thurman began slowing down his output. In the fourth Thurman was able to glide through at the end, though Garcia was striking the body well. Thurman controlled the fifth for the most part, but Garcia came on strong at the end. Garcia landed hard and with frequency in the sixth, taking the round. Thurman grinded his way through the seventh, a round where Garcia was warned for low blows. Thurman continued to dominate through the eighth, but Garcia was still very much in the bout. Thruman ruled the tenth and looked to be pulling away. Not that it was an easy affair for the Clearwater native. Garcia slugged his way into taking the tenth. Thurman cruised through the eleventh…perhaps too much. I had him winning the round by the skin of his teeth, but it may well have gone either way. It was time for the final three minutes. Garcia landed enough that I gave him the last chapter. Still, it appeared that Thurman had done enough to take the fight by a comfortable margin. Needless to say, Thurman won by split decision. It was fair, but the fight was indeed close. Garcia was game, but came up short. Thurman looked excellent. On Saturday night one of the best fights that could be made in the welterweight division will happen at the Barclays Center in Brooklyn, New York as Keith Thurman and Danny Garcia will meet to unify the WBA and WBC welterweight titles. This is a fight that many fans have been salivating over. The co-main event of the night will be between Erickson Lubin and Jorge Cota in a WBC Junior Middleweight eliminator. The undercard that will not be shown on CBS will feature high level boxers such as Andrzej Fonfara, Chad Dawson, Mario Barrios, and Heather Hardy. The following is a preview of the televised CBS card. At first glance this fight appears to be a competitive fight. Both boxers are still relatively young and have good records. Lubin is twenty one years old and eight years younger than Cota, but Cota is still below the age of thirty. Both boxers have very good records with only one loss between them. However, a closer look reveals that Lubin is the better prospect of the two. On paper, Cota appears to be the stronger puncher of the two. He has twenty two knockouts for a stoppage ratio of 85%. Lubin has twelve knockouts with a stoppage ratio of 71%. However, Cota has fought nearly his entire career in Mexico against less than stellar opposition. Cota’s only big win came against Yudel Johnson in 2015, which was his only bout in 2015. Cota had zero bouts in 2016. Cota was defeated by Marco Antonio Rubio. Lubin has defeated the likes of Juan Ubaldo Cabrera, Ivan Montero, and Daniel Sandoval. Lubin has never tasted defeated and was the 2012 US National Police Athletic League Gold Medalist as well as a former Golden Gloves gold medalist. Lubin has also been considerably more active than Cota. Cota has only fought once since 2015, while Lubin fought five times in 2015 and four times in 2016. This is a showcase fight for Lubin to get a win against an opponent with a good record but an empty record. Keith Thurman and Danny Garcia will fight to determine who is the best welterweight boxer in the world, outside of Manny Pacquiao and Floyd Mayweather Jr.
And maybe outside of Kell Brook and Errol Spence Junior. And maybe outside of Timothy Bradley Jr. and Terence Crawford if he ever decides to make the jump up to 147. But regardless, this is an excellent fight between two undefeated boxers that are twenty eight years old. 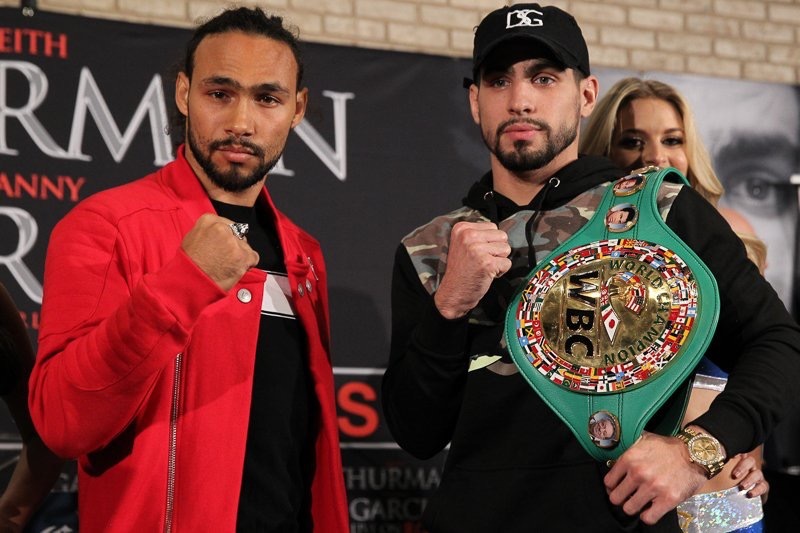 They are both known for having some power, as Thurman has stopped twenty two of his opponents and Garcia has stopped eighteen of his opponents. The winner will have two belts in the division and will also put themselves in a good position to face Floyd Mayweather Jr., if he were to ever end his retirement and not fight a UFC fighter. Thurman will be giving up about one inch in height to Garcia but will have a slight half an inch reach advantage. Garcia has been slightly more active than Thurman and fought twice in 2016 and in 2015. Thurman fought once in 2016 and twice in 2015. Both boxers had good national amateur careers. Thurman was a runner up in the US Olympic trials and Garcia was a US National Amateur champion. Both boxers have an impressive list of defeated opponents. Thurman has defeated the likes of Shawn Porter, Luis Collazo, Robert Guerrero, Leonard Bundu, Jesus Soto Karass, Diego Chavez, Jan Zaveck, and Carlos Quintana. However, Thurman has not had a KO or TKO victory in his past five fights. Garcia has won three of his past five fights by stoppage and has defeated the likes of Samuel Vargas, Robert Guerrero, Paulie Malignaggi, Lamont Peterson (questionable), Mauricio Herrera (questionable), Lucas Matthysse, Zab Judah, Erik Morales, Amir Khan, and Kendall Holt. This is a tough fight to pick and both boxers have been able to come up on the winning end of some close decisions. Thurman however is more comfortable fighting in the welterweight division and doesn’t have the gift decisions that Garcia has. It will be a close fight and could go either way, but Thurman has a slight edge going into Saturday night. 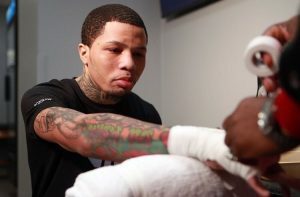 Live from the University of Illinois in Chicago, Premier Boxing Champions put on a father’s day card on primetime NBC, featuring title fights, former Olympians and young prospects. The broadcast began with a rematch of last years, very closely contested Bantamweight championship between Rau’Shee Warren and Juan Carlos Payano. A bonus fight between fast tracked, 20 year old prospect, Erickson Lubin and Mexican Journeyman Daniel Sandoval. And a Main Event with championship implications in the Light Heavyweight division between the Long Island construction worker, Joe Smith Jr. and the hard hitting Polish Prince, Andrzej Fonfara. The first fight between these two was plagued with point deductions on both sides and ended in a split decision that many were unhappy with. Warren, a three time Olympian, took his first professional defeat and lost his chance at becoming a world champion. This time Warren came out working fast, showing his superior boxing skill and hand speed. Payano was left to stalk his opponent and try and make the fight rough when inside. Warren used a fast jab, to the head and body, countering in the first half of the fight. The usually more aggressive Payano was forced to fight at Warren’s pace. Payano had trouble getting into any kind of rhythm, never really landing more than one punch at a time. Whenever Payano tried to step up his aggression, he was either smothered or met with a barrage of punches from Warren. Payano was throwing much more punches in the later rounds, taking the action to Warren. The championship rounds becoming very valuable to the outcome, as Payano predicted they would be. In the end, it was a close fight, but a fight that Rau’shee Warren ultimately controlled from wire to wire. He was not able to win any Olympic medals in his three trips, but tonight he was able to become a World Champion. Erickson “The Hammer” Lubin was supposed to be getting ready to represent the United States next month at the Olympics in Rio. Instead, on his 18th birthday he turned pro, and today he added another win to his undefeated professional record. Lubin started the fight using a strong straight right handed jab that stalled any type of game plan by Sandoval and finished with a flurry, showing that he possesses power in both his hands, appropriately named “Jack” and “Sledge”. 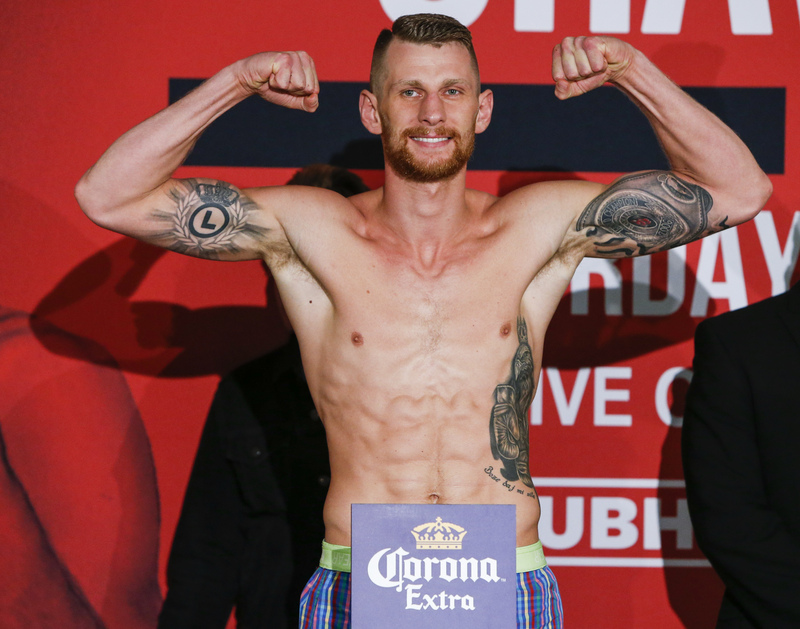 In a fight that was in Fonfara’s hometown of Chicago, Illinois, which had Fonfara as an enormous favorite came crashing down within one round. The first round was both men trading a lot of blows, but the hard hitting Smith was able to land a huge overhand right, with one minute left in the round, that knocked Fonfara down. Smith attacked, once Fonfara was able to get up and the fight was stopped. The unknown, union laborer from New York will now become the mandatory to fight Adonis Stevenson for the WBC Light Heavyweight Championship.